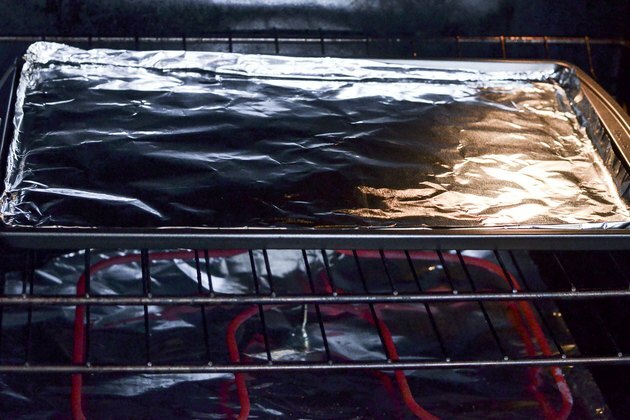 Broiling is a convenient and quick way to prepare ribs. The high heat of a broiler leaves little room for error, however, even the thickest ribs can dry out quickly at such a high temperature. The key to broiling succulent ribs is monitoring the meat closely to ensure that you do not overcook it. Taking the internal temperature of the rib meat -- making sure to avoid the bones -- is the surest way to know your ribs are ready to eat. Insert the tip of a boning knife under the silverskin, the light-colored connective membrane, and remove it, if present. Saw carefully toward one end of the rack of ribs, separating the silverskin from the bones and flesh. Pull the skin taut with your free hand. Once you cut a sufficient portion from the ribs, the whole tissue should pull off. 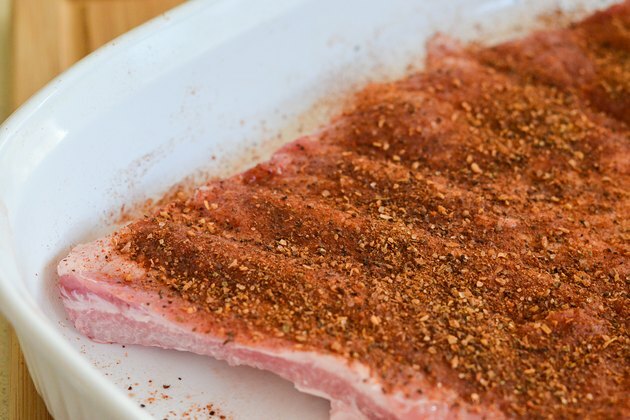 Place the ribs in a container or on a baking sheet. Sprinkle dry rub all over the ribs, then pat the seasoning blend into the meat. Cover the ribs with the lid to the container or plastic wrap to protect them from contaminants. Rest the meat at room temperature for an hour. Room temperature meat browns more effectively than cold meat. Move the oven rack 6 inches away from the heat source at the top of the oven. Place a grilling pan or ridged skillet on the rack. Turn on the broiler. Place the ribs on the grilling pan with tongs. Baste the ribs with sauce periodically. Turn the ribs as needed to ensure even cooking on both sides. The side with more meat should face up the majority of the time. Insert a meat thermometer into a meaty section of the ribs, away from the bones. Beef and pork ribs should have an internal temperature of 145 F to be safe to consume. Start checking the internal temperature of the meat after 15 minutes of broiling. You can also assess doneness according to certain visual cues. If the ribs are thoroughly cooked, a knife should slide into the meat easily. Depending on the type of ribs you are cooking, they ribs should cook in 15 to 40 minutes. Remove the ribs from the oven. 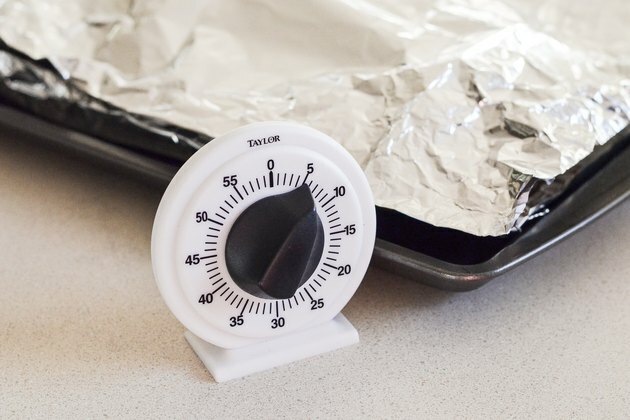 Cover them with aluminum foil, and allow them to rest for at least 3 minutes. Resting meat improves juice retention. Oven-cooked ribs are more likely than smoked ribs to have grayish-brown meat when they are cooked. Smoked ribs often have pinkish meat. The color of the meat may also be a visual cue that the ribs are fully cooked, but don’t rely on color until you gain experience cooking ribs with this method.